This home was highly prone to floods , with a risk of flooding at least twice a year. 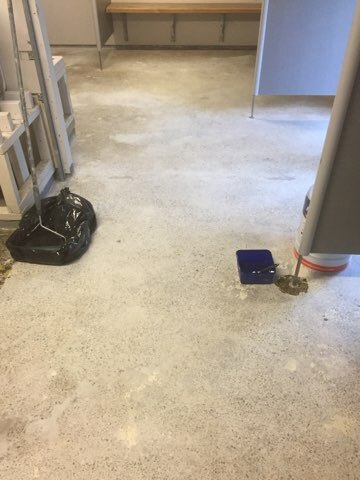 Our job was to uplift the existing carpet & vinyl floors as part of floor preparation. 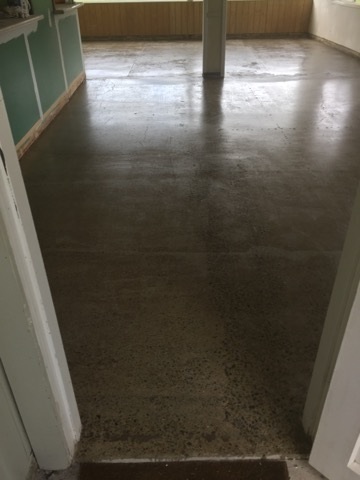 After which concrete was ground , sealed and polished to look like this.